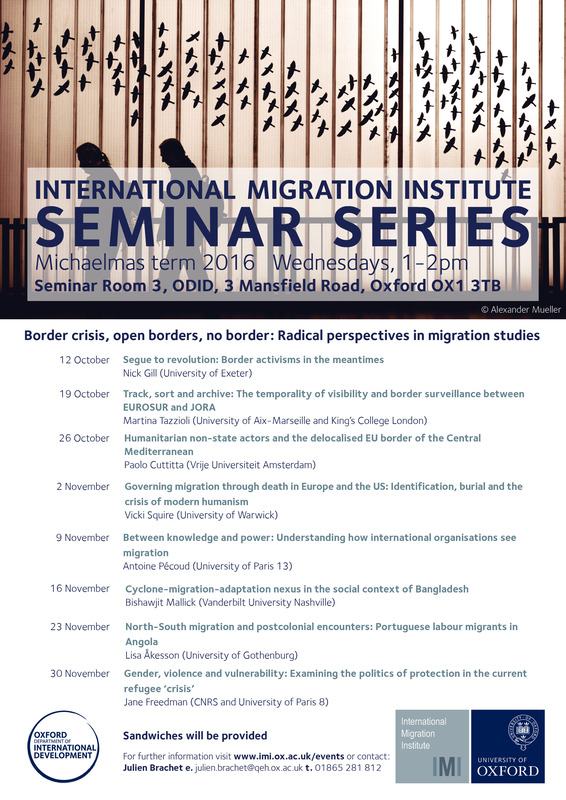 Global discourses as well as migration regimes often build on and reinforce the image of migrants’ border crossing as solely taking place in South–North direction. This paper unsettles this idea by looking at the contemporary postcolonial Portuguese labour migration to Angola. In particular it focuses on the Portuguese migrants’ relation to the Angolan party-state, and the ensuing (re-) articulation of Portuguese and Angolan postcolonial identities. The paper demonstrates that while the most influential Portuguese are closely allied with the Angolan political elite, other Portuguese migrants are in a vulnerable position in relation to the Angolan party-state, and many struggle to secure immigration documents. The vulnerability of the non-elite Portuguese brings about feelings of postcolonial score-setting among some Angolans. These feelings are still a part of the colonial legacy, but they also reflect a new turn in Angolan-Portuguese relations. Thus, in difference to most studies with a postcolonial perspective this paper does not take the continuance of the colonial as a starting point; rather it probes the limit of the colonial.